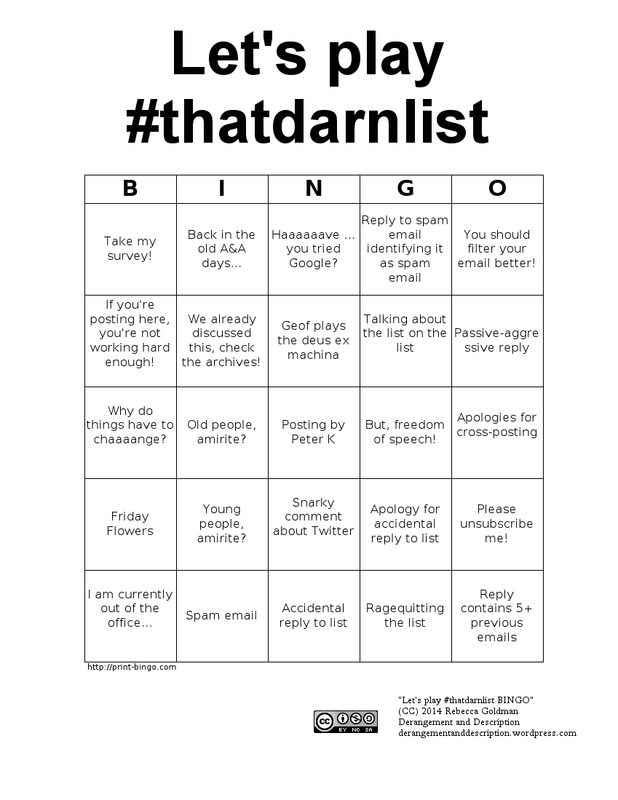 Instead of complaining about everyone’s favorite listserv, why not turn it into a game? Some common A&A occurrences, represented as a bingo card. Use this bingo card generator and my text list (after the jump) to make your own cards! 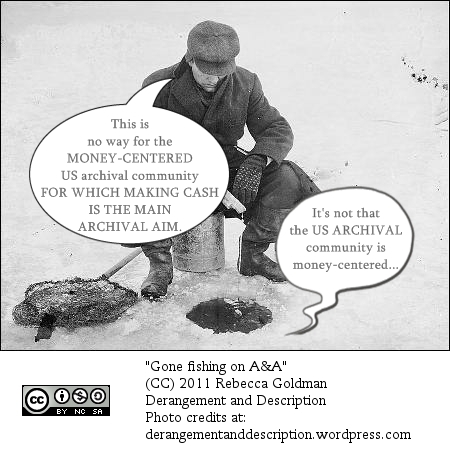 Ice fisherman sez: "this is no way for the MONEY-CENTERED US archival community FOR WHICH MAKING CASH IS THE MAIN ARCHIVAL AIM." 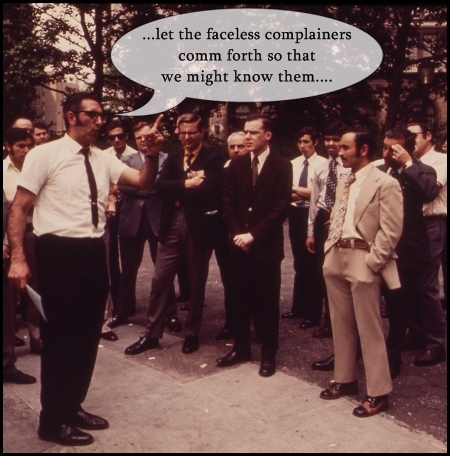 Down below, fishie sez: "It's not that the US ARCHIVAL community is money-centered..."
Underwater flame? A scientific miracle! Oh A&A, don’t ever change. What the fonds, Internet? Why do you always explode in drama when I am on vacation? Anyway, there have been some interesting discussions about potential improvements to our beloved A&A. And no offense to the bloggers and their commenters, but I think their suggestions for places to talk about archives are a bit…uncreative. Blogs? Twitter? Wikis? I have some EVEN BETTER IDEAS. Someday I might want to post a question to you, but I am afraid because you can be really mean sometimes. Try to be nicer to each other, okay? Photo from the George Eastman House on Flickr Commons. Hat tip to @herodotusjr for the simile! Don’t forget to send in your favorite A&A quotes. Image from the Field Museum Library on Flickr Commons. I don’t think this one really needs any commentary. Photo courtesy of the Swedish National Heritage Board on Flickr Commons. 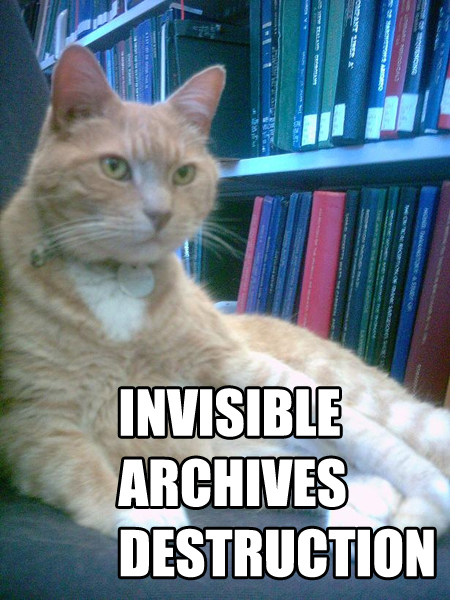 Thanks a lot, archivists. I’m supposed to be on vacation, but y’all are creating drama on A&A again. Ever seen those Daily Show segments where cute kids read transcripts from cable news and you realize how silly the whole thing sounds? I decided I’m going to do that for A&A, archives-style. Original here. If your archives has public domain photos of cute kids that you’d like to contribute, please e-mail me.